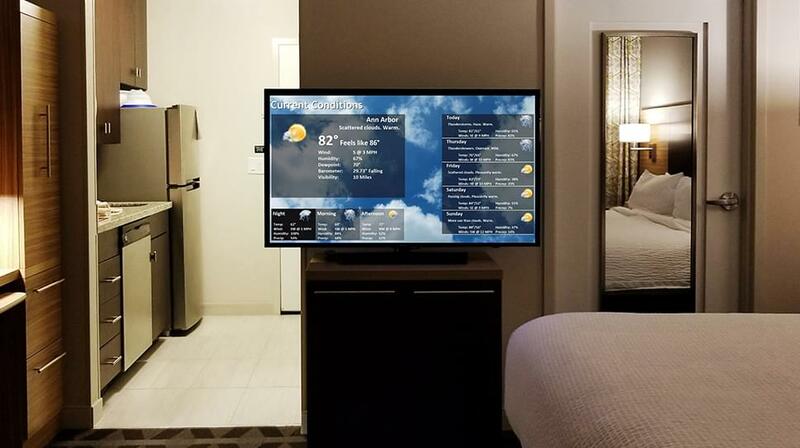 Hotel staff use current computers to quickly display & update the daily event schedule designed to fit your hotel's brand & aesthetic. 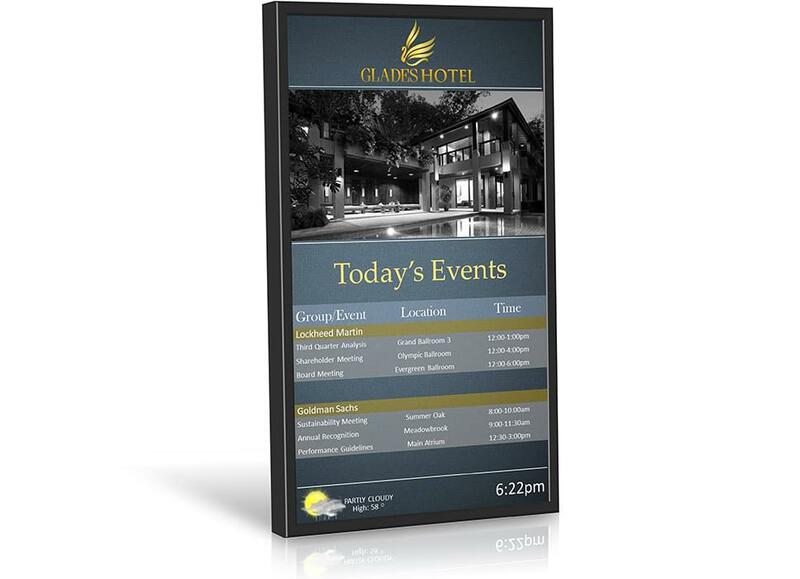 Hotel's can now keep guests informed without having to spend money & time printing costly & unappealing paper event schedules. 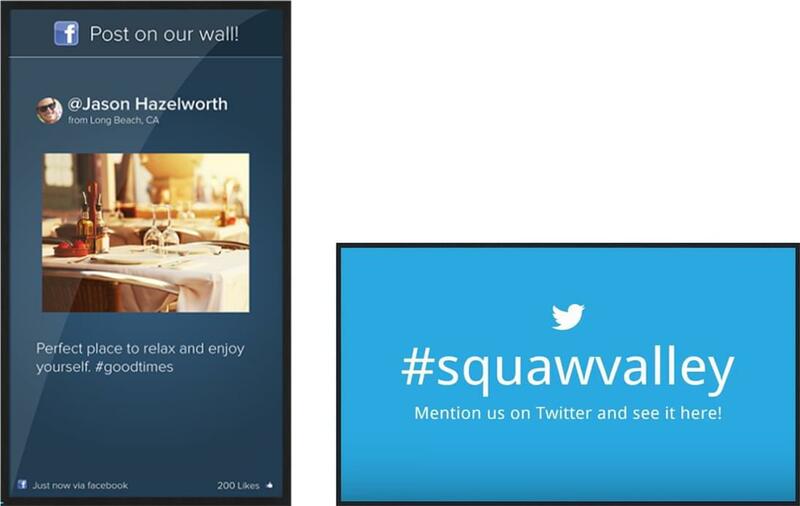 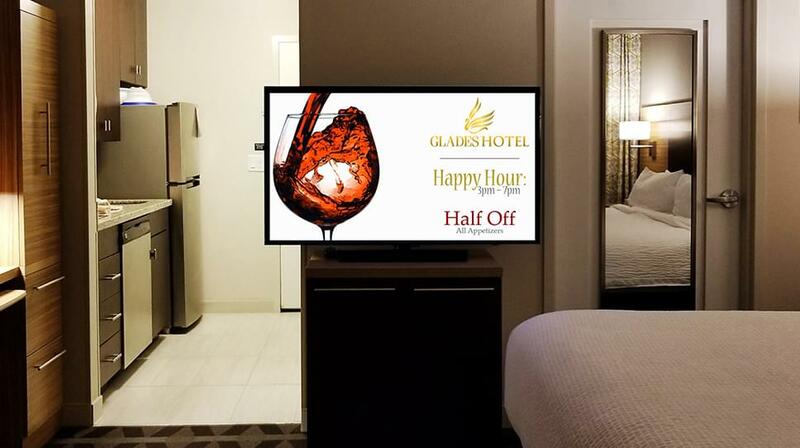 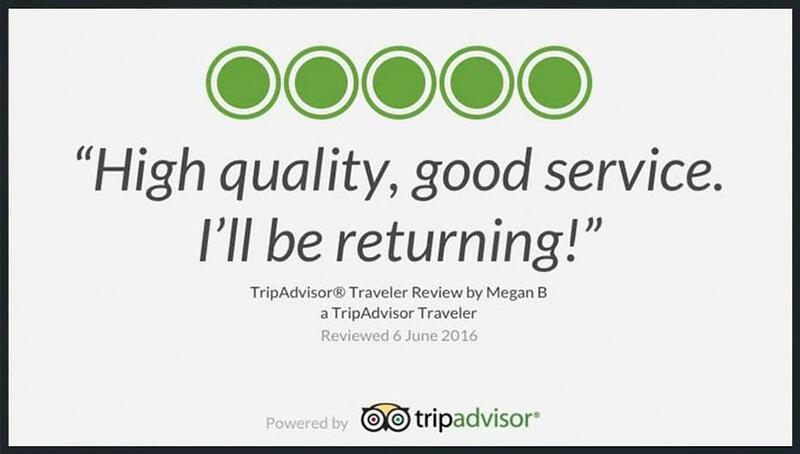 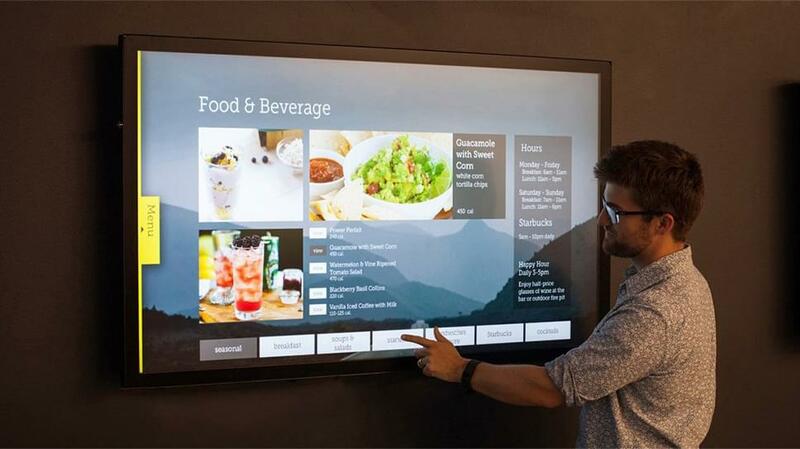 With In-Room Signage, hotels can communicate important messages directly on guest screens. 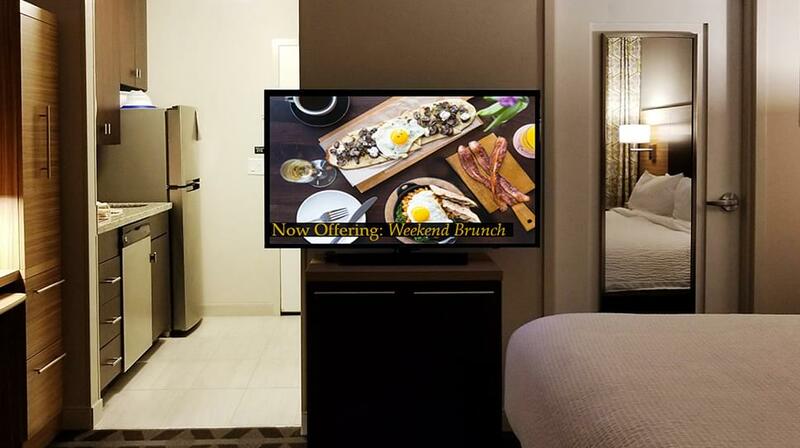 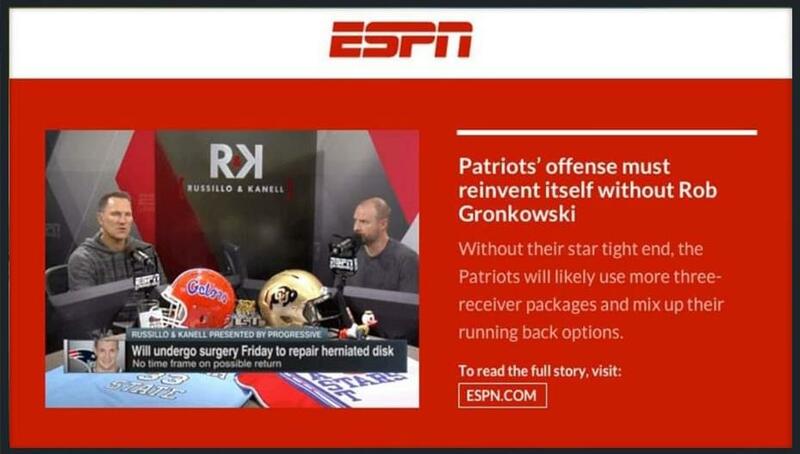 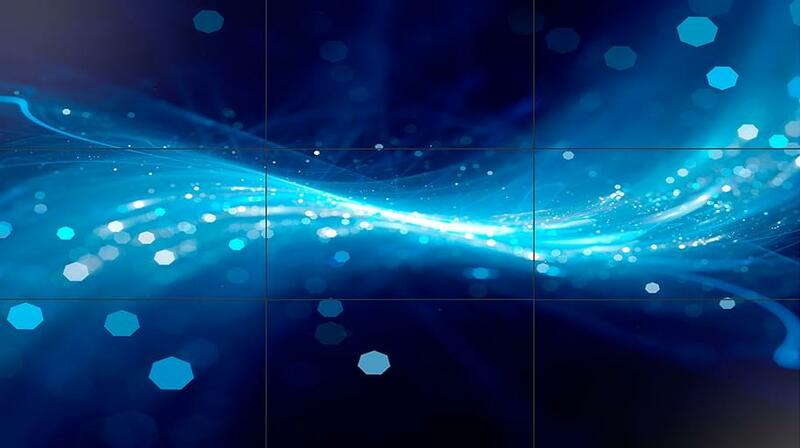 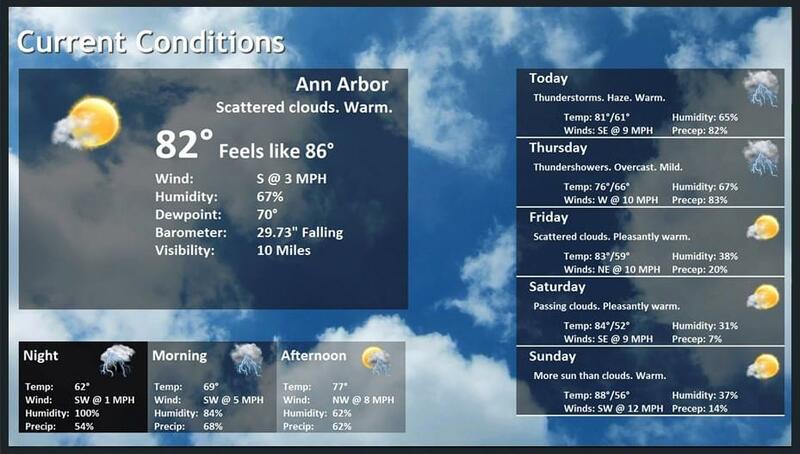 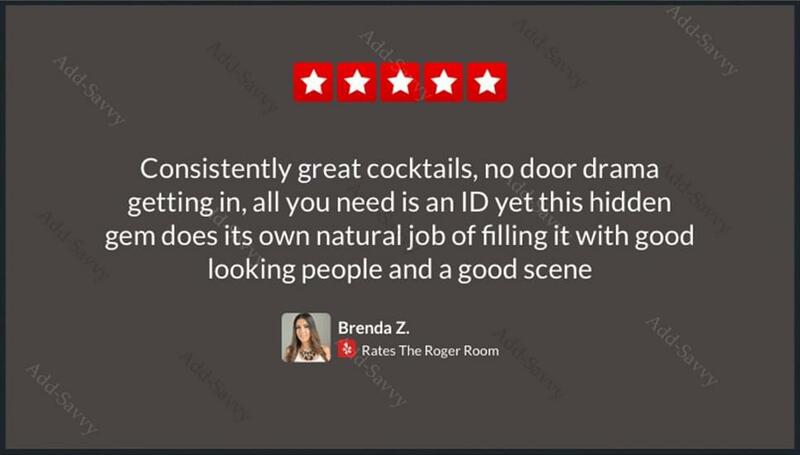 Ensure that guests are informed, & designate an in-room channel to display custom content for your hotel. 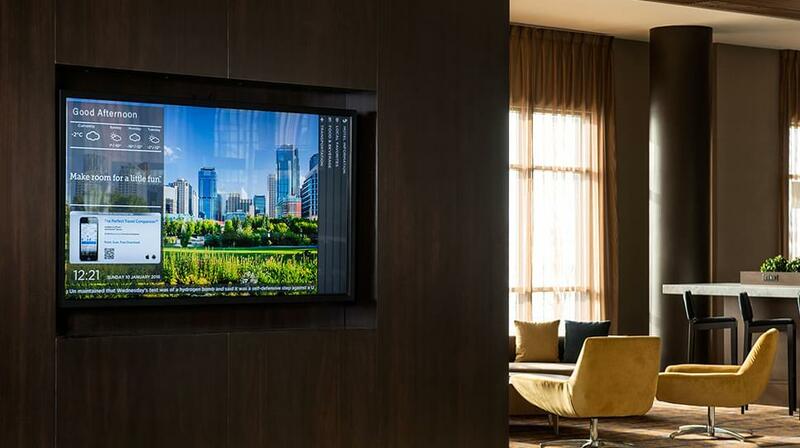 Now hotels can offer more to guests who need event space including a polished and crisp meeting room display. 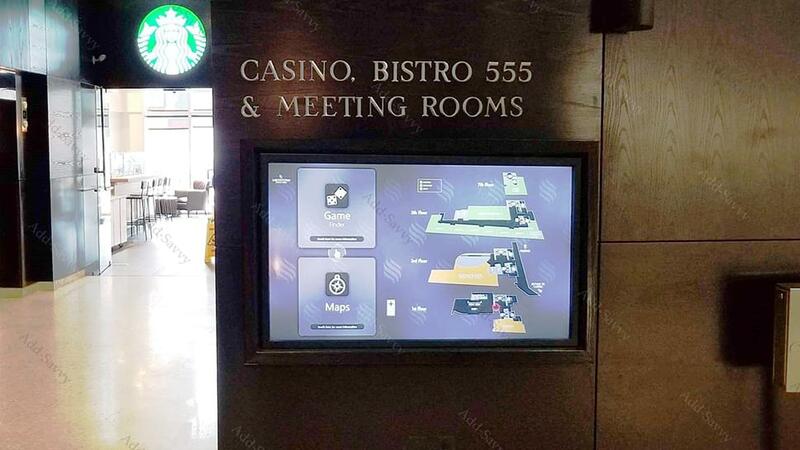 Hotel staff use existing computers to quickly display & update the meeting-room display. 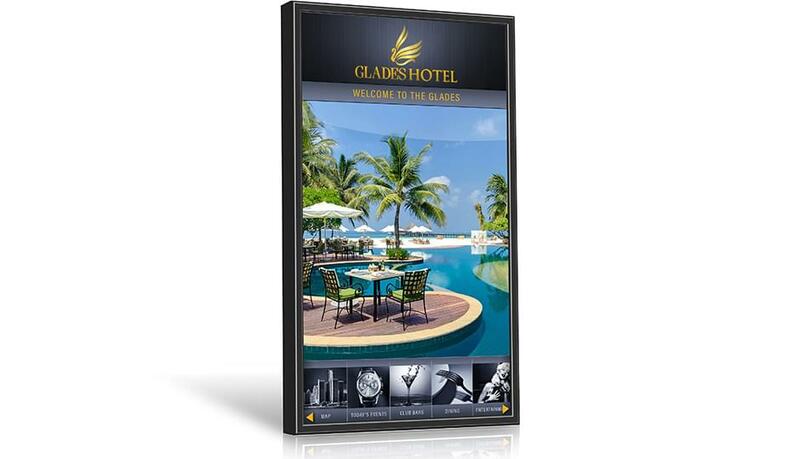 Displays are designed to fit your hotel's brand & aesthetic. 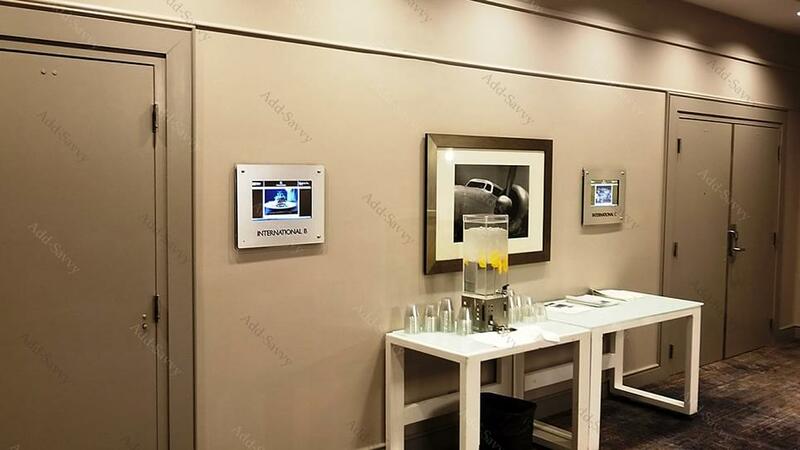 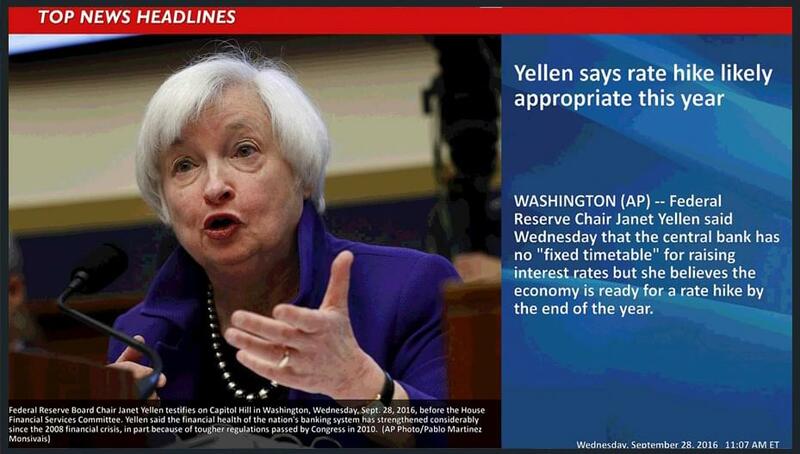 Meeting room displays automatically update to reflect the appropriate information. 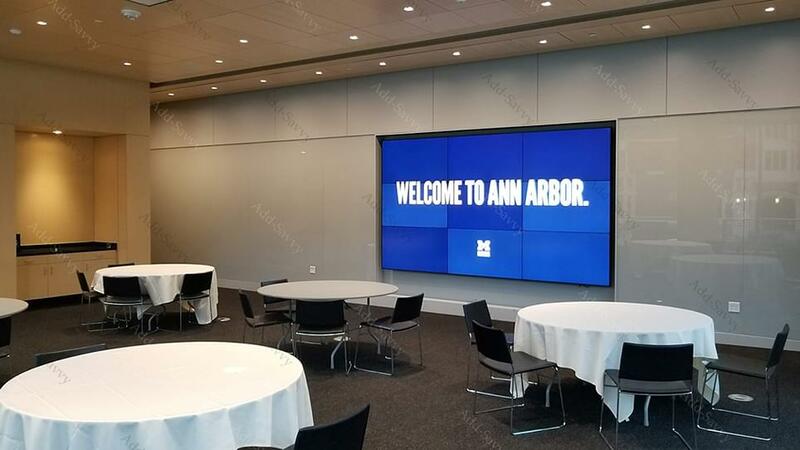 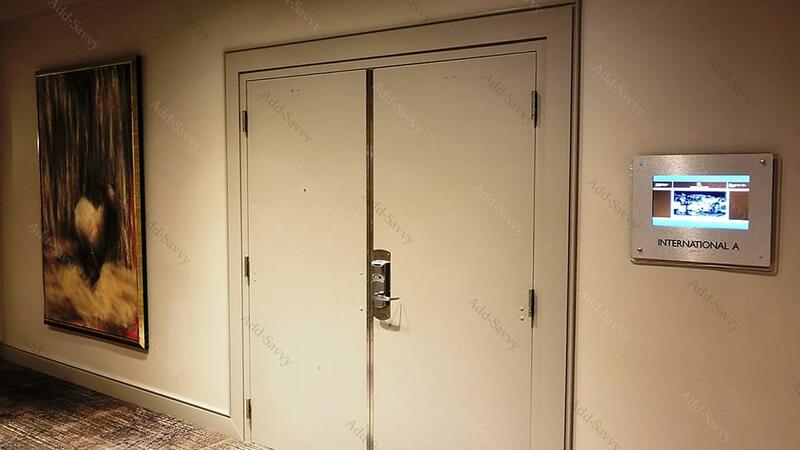 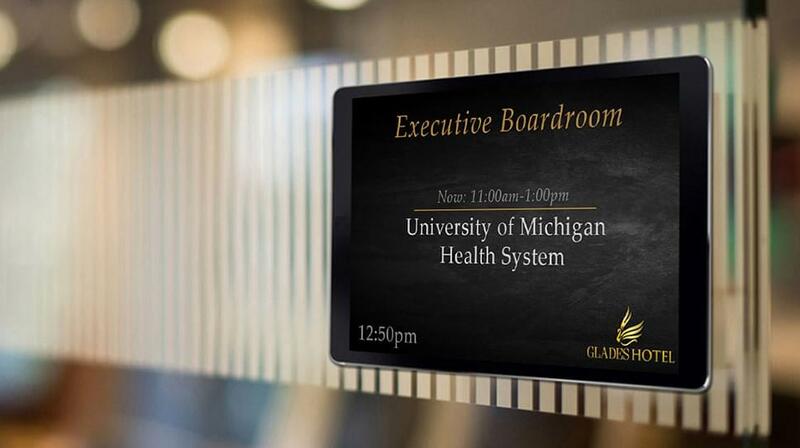 If no group is currently having a meeting in the space, hotels can display a custom message. 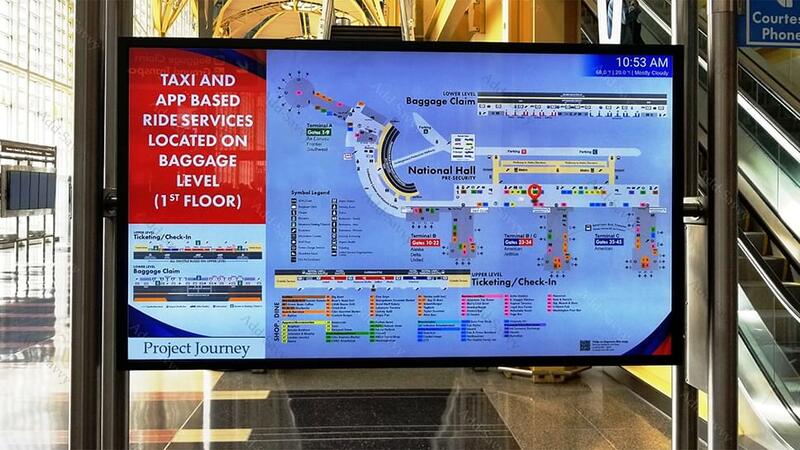 Flight information is updated in real-time. 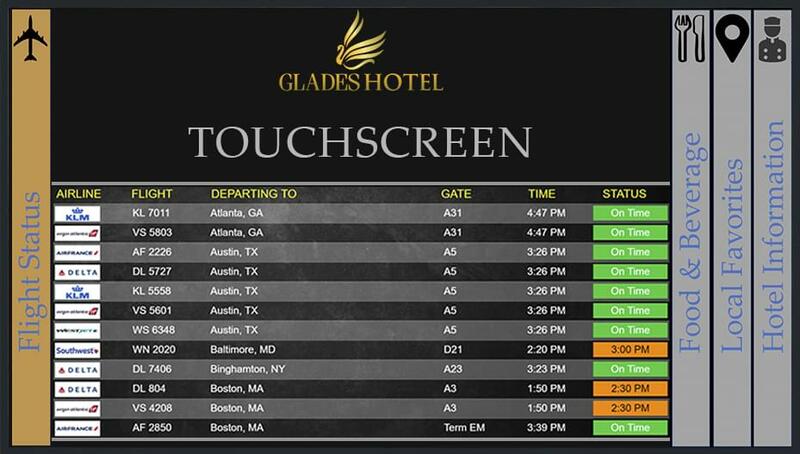 Solution allows hotel to display arrivals and/or departures from any airport in the world. 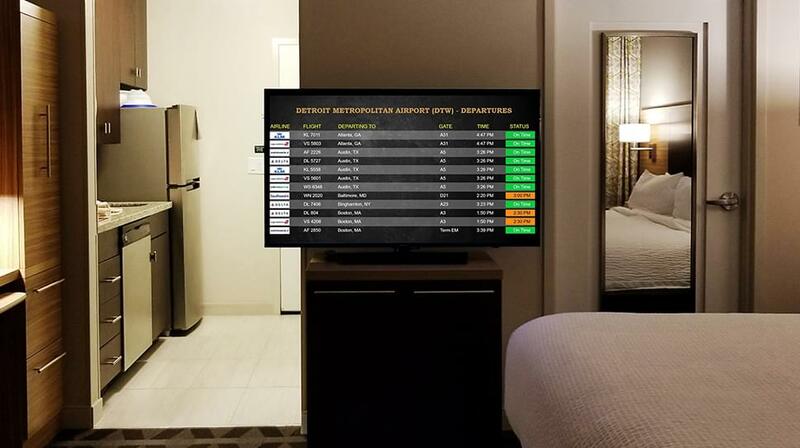 This solution helps managers to proactively inform guests of any changes pertaining to a flight. 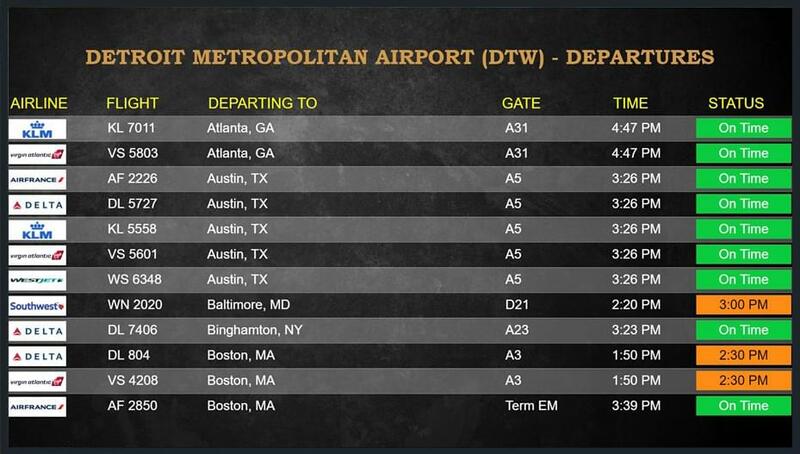 It also helps operators better manage transportation services to & from a local airport. 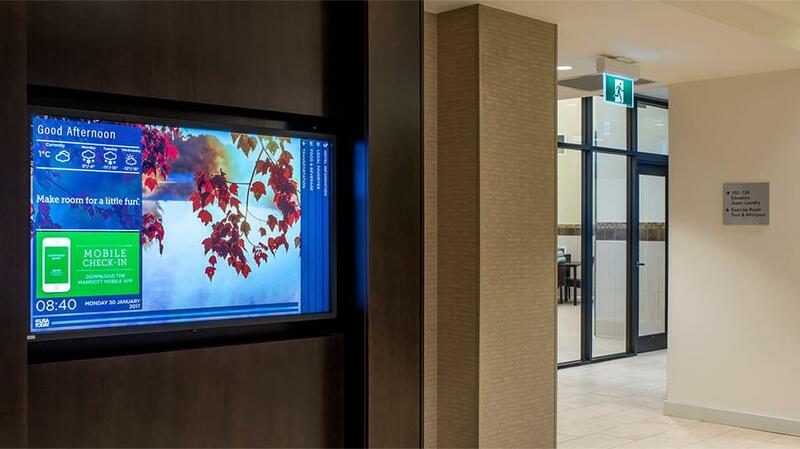 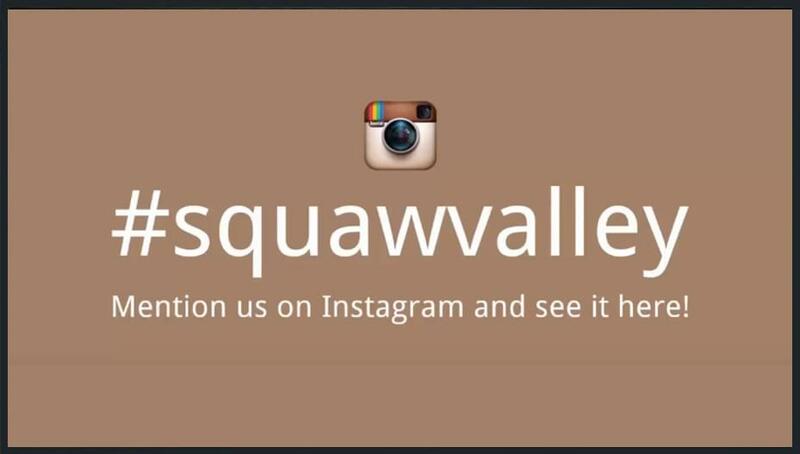 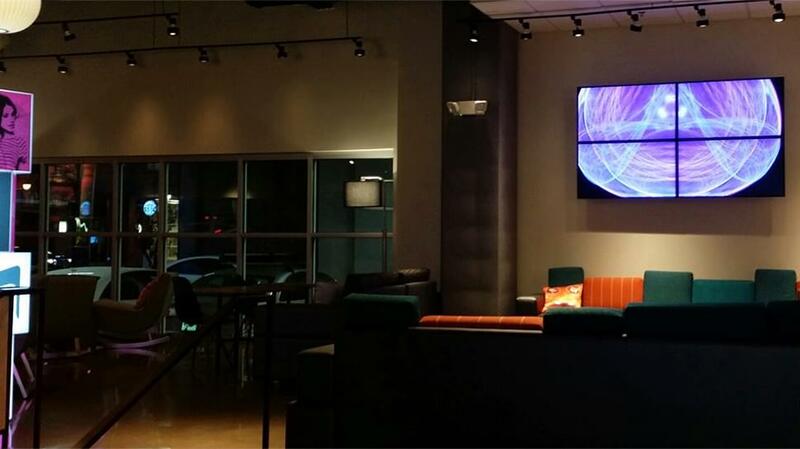 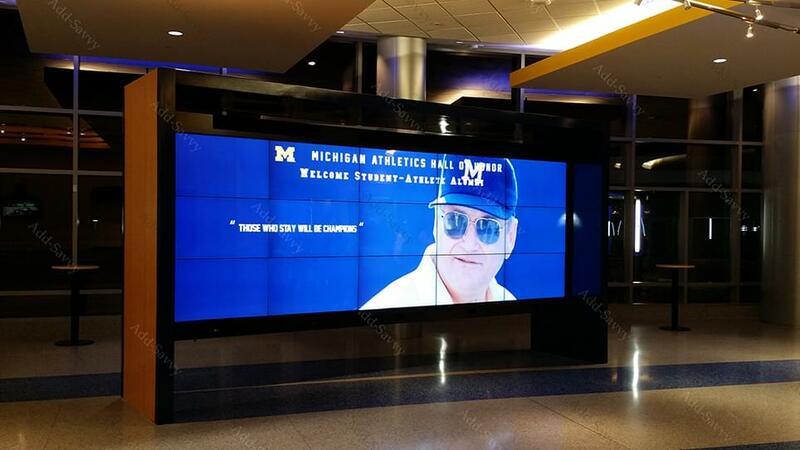 Screen's design & layout can be customized to align with hotel's brand & aesthetic. 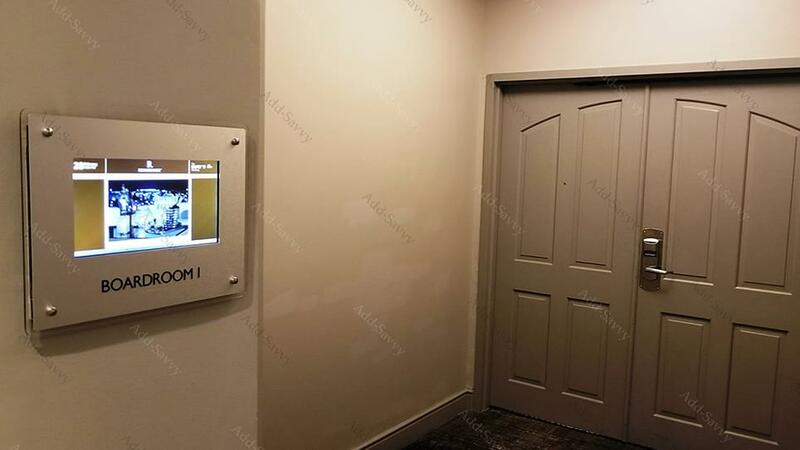 Building directories provide a polished & professional display, and also provide building residents with a crisp lobby presence.